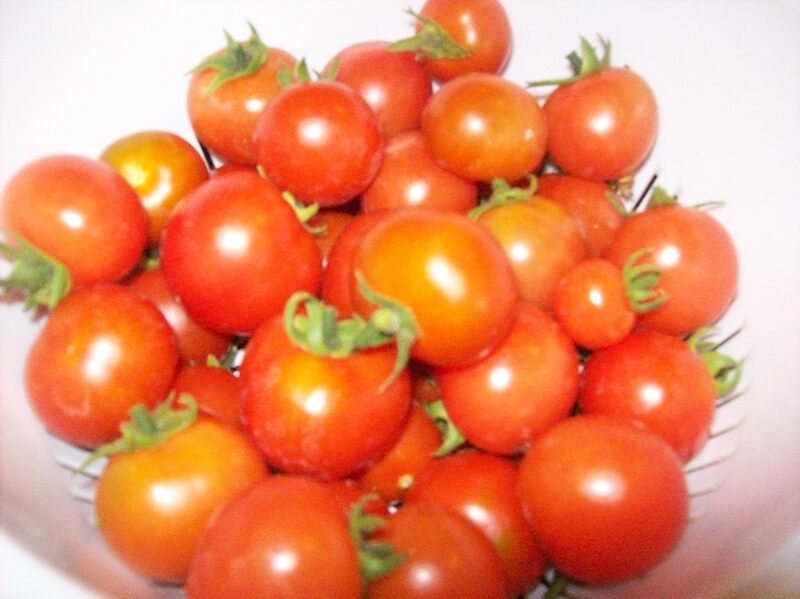 Garden fresh – tomato salad | Life's Conundrum - Eat to Live or Live to Eat? Our garden pots of tomatoes are in full bloom and we have managed to pluck enough to use in our daily cooking and salads and some. This evening’s salad was predominantly garden fresh cherry tomatoes with cucumber, salad leaves and feta cheese. It was dressed with a Dijon mustard vinaigrette and then finished off with some fresh figs and toasted walnuts. All in all both of us enjoyed the fruits of our labour and look forward to experimenting with new dressings to compliment our garden fresh tomatoes. Mix the mustard and oil first and then add the lemon zest and juice – give it a good whisk. Add the honey and adjust the seasoning. Finish off with the candied orange and lemon peels and keep vinaigrette aside. Place salad leaves, tomatoes, cucumber and feta cheese in a large bowl and mix in the dressing. 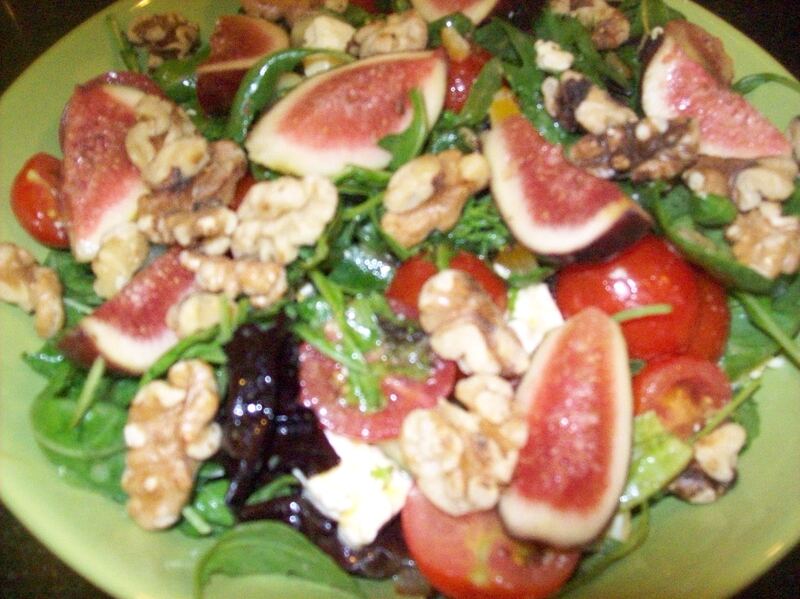 Serve the salad in bowl and garnish with toasted walnuts and fresh figs. Posted on August 11, 2013 by Anna and Shiv	• This entry was posted in Recipes, Salads, Sauces and vinigarettes and tagged Feta, Leaf vegetable, Lemon, Mustard, Olive oil, Salad, Tomato, Vinaigrette. Bookmark the permalink.